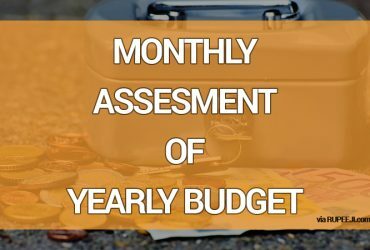 What is a Monthly Home Budget? Just like you need a map to reach your destination, you need a plan for spending and saving if you are looking to reach your financial goals. Budget plays a very important role to help people pay off their debts, build a home and save their hard earned money. 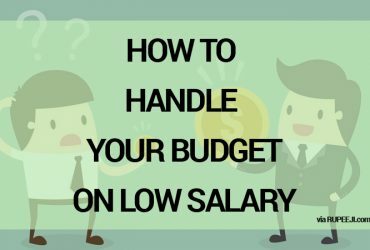 Here we will discuss about the top 7 tips for maintaining your monthly home budget. 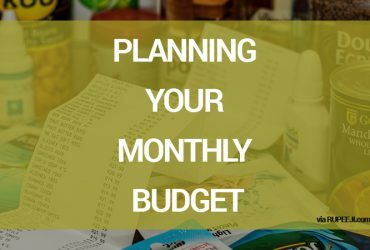 You should track your expenses for about a month which you can do by using a mobile app or a computer aided program. You should keep a record of all the purchases whether it is big or small. This is because once you are able to track your spends, you would be able to use your money in the best possible way. If you like to eat out several times a month just try to do so just twice a month. Ideally you should deposit about 10% of your earnings towards your savings. You should ensure to keep that money aside which you want to save. If you want to make short term savings you can do so deposit the amount in saving accounts which yields interest. If you are going for long term savings you can put the amount in a tax-friendly retirement scheme such as pension schemes, PPF, EPF etc. You should save around 35% of your savings towards housing and utilities. As a homeowner you can always increase this percentage of savings as the monthly payments you are making towards your home loan are like forced savings for you. If you want to save money for your child’s education or for buying a new vehicle you can put another 10% as savings by putting the amount in a savings plan. The remaining percentage of money you can use for food, clothing, entertainment and vacations. This is what priority is all about as you cannot have everything you wish for. You should ensure to make your payments by cash. This is because if you pay by credit or debit card you are most likely to overspend. You should only make unavoidable spends using your card and payments for groceries, clothes and vacations should strictly be made by cash. You should also try to avoid withdrawing from ATMs frequently as you will lose out on withdrawal charges. As a matter of fact you will never succeed in life if you do not pay off your debt. It is true that you end up paying lots of money as interest towards your credit card or personal loan. In addition this also restricts you to save money which you could have used for some useful thing. If you are using multiple credit cards then you should try to pay off the money for the credit card which has the highest rate of interest and for other credit cards you can pay the minimum amount which is due until you pay them off completely. No matter how much money you owe but you should make a habit of saving. Ideally you should keep savings of about 6 months for conditions like illness, loss of job and unexpected bill. The best way is set aside any financial gains you get which include bonuses, yearly appraisals or tax refunds. You can even try saving that extra dollar or change in your pocket. The bottom line is that you should save money no matter what your financial situation is as this would always make you financially secure and you will also be more confident in your life. This means that you should spend less than what you earn. It is just cutting down on your expenses and nothing else. You should stop comparing yourself with other people. You should not focus on what your neighbor is wearing or which brand of goggles he or she is using. Your neighbor with latest shoes and cars may be under debt, who knows? Why do you want to be in their position? You may not be flaunting expensive shoes but you are able to get a sound sleep in the night. When you are able to control your expenses you not only save money but it also secure you and family. 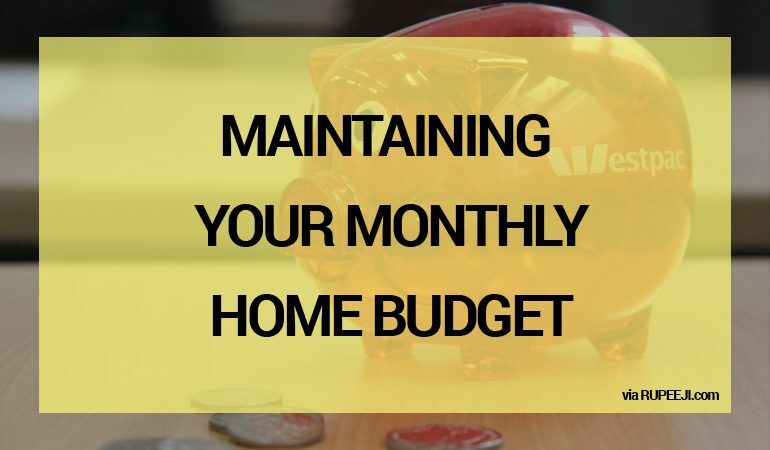 These are some of the top tips for maintaining your monthly home budget. We all know the benefits of saving and it is very necessary to plan our monthly budget. If we want to lead a well organized life then we need to plan our monthly budget properly.